Having a financial contingency plan is always important, even more so, now that the economy is more unstable than ever, it is a necessity for every household! Keeping your finances organized when you fall upon hard times is one of the keys to surviving and thriving in these situations. 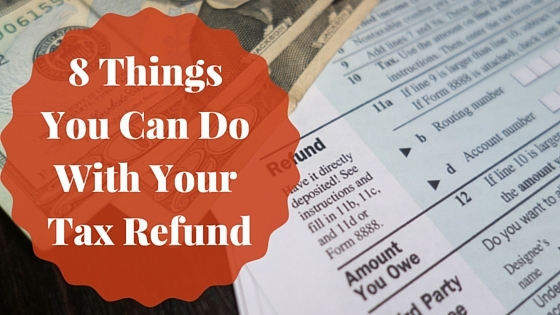 Here are 6 things that you can do now in order to prepare for financial hardship. I have talked a number of times on this site about the importance of an emergency fund. Having money set aside will be extremely important if you lose your job, or face some other financial difficulty. My goal (once our debt is paid off) is to to have between 9 months and a year of our living expenses saved for a “rainy day”.. Many people have gone deep into debt (I’m one of them) because they did not have significant savings to carry them through hard times. The purpose of an emergency fund is to remove the stress, fear, and even the need to borrow, when financial hardship comes. Every good financial contingency plan should involve a large emergency fund! One of the biggest factors in how well you handle a financial emergency is the amount of debt that you have. It is much easier to adjust your living expenses than it is to rearrange your debt payments. So when you are in a position where you need to free up a large amount of committed money, you won’t have over $500 in student loan repayments (that used to be me) to worry about! Being at the mercy of credit card companies, banks, and other loan servicing agencies, will only add to your stress and may impair your ability to make good decisions during an emergency. Whether it’s an old profession, becoming a part of the contingent workforce, or part-time job, you should ensure that you have a way to earn money that’s not connected to your current full-time job. You may not want to take on that side job, or put more time into your hobby just yet, but knowing what realistic options you’ll have if you are no longer able to work at your current job will be crucial if/when it happens. Also knowing what expenses you can easily cut and what services you can do without (it may be wise to just cut them now and build up your emergency fund, pay off debt, or save for retirement), can save you from having to make those tough decisions while under stress! Don’t make assumptions about who will and who won’t help you. Many people who you think you can count on may not be willing or able to help you, while those you’re not even considering could be the ones who offer you the most support during your time of need! If your relationship allows for it, verify with your loved ones that they would be willing to help out (and find out how) if you fall on hard times. You may need to consider taking loans from family or living with friends for an extended period of time; it’s best to know ahead of time (if possible), the people upon whom you can rely. I’m not saying that you should start holding garage sales tomorrow, but it is important to have a discussion with your family members and decide what items can go if you fall upon hard times. A good financial contingency plan will take into account how much money can be gained from selling certain items. It will be much easier to make this plan now, rather than when you are all under the stress of a financial hardship (stress can skew proper judgment)! Decide what things you can part with, and conduct research to see how much you could possibly get for them. Knowing that you can get $7,000 for you 2nd car may be all that you need to survive a financial emergency. Even though New Jersey has been hit hard by storms in the last few years, I’m not really focusing on hurricane preparedness, or being able to prevent the damage from a natural disaster in this point. What I am referring to is the ability to quickly get back on your feet after the devastation. The first thing that you should do is create a home inventory. This will allow you to quickly determine what items were damaged (or are completely missing) after the disaster. It will also help you when filing an insurance claim – everyone around you will be filing claims with their insurance company or requesting disaster assistance from the government. Having a home inventory can help to speed up your claims when that happens. You should also review your various insurance policies to ensure that you are covered against various disasters. Many people just assume that their policy will reimburse them for all of their damages if something happens, only to find out that they weren’t covered at all, when it’s too late! Do you have a financial contingency plan? If so, what are some of the things that you have included? Have you dealt with emergencies in the past? If so, what have you learned from the experience(s)? Have you ever been hit by the sudden loss of income or dramatic increase in expenses or debt? If so, how did you handle it? 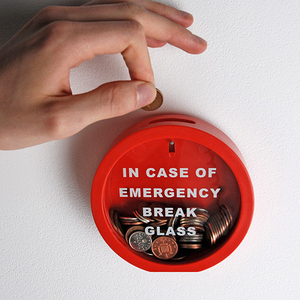 Most of us are familiar with the concept of an emergency fund and why you need one. It is the most fundamental type of savings that you can have, because it is there to provide a cushion against sudden and unexpected financial issues. Some people are never able to get an emergency fund going. As a result, they often don’t move on to achieve any level of financial independence because they are constantly faced with emergency situations and no funds to deal with them. Others establish emergency funds, but end up draining them for non-emergency purposes. The best way to avoid that fate is to set up dual savings accounts – an emergency fund, and a budget account that will prevent you from raiding your emergency fund when it is not absolutely necessary. 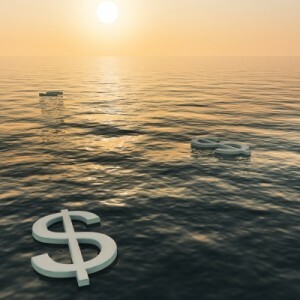 The only way to have a successfully functioning emergency fund is if you set very specific definitions as to what constitutes an emergency, and you never dip into the account unless the crisis fits neatly within the definition. Everyone’s concept of an emergency fund tends to be a little bit different, but I think that the key definitions are sudden and unexpected. Sudden, as in an event that seems to come out of nowhere. If it is something that you knew was coming, it does not fit within the definition of sudden, and is not a legitimate emergency. “Unexpected” is another critical definition. If a financial event is truly unexpected, it means that you had no reason to prepare for it in advance. Anything that you do know beforehand should hardly constitute an emergency. A job loss, for example, can qualify as an emergency because it is sudden and unexpected. Replacing all four tires on your car doesn’t fit either definition, because it is a maintenance item that you knew about long in advance. An emergency fund should be an account that is special and set apart from the rest of your finances. 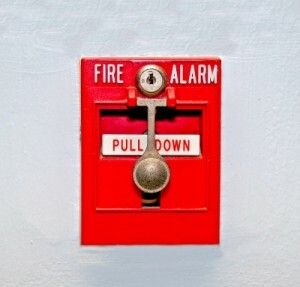 If you are using your emergency fund simply to cover monthly budget shortfalls, that is not a true emergency fund. It is important to maintain that distinction, otherwise an emergency fund is simply not an emergency fund. Your checking and savings accounts should represent your general use bank accounts. That means they are available to cover your normal budget, as well as any expected expenses. If there is an imbalance here – that is, an insufficient amount of money in these accounts to cover your expenses – then you have a structural financial problem. The problem could either be insufficient income, or excessive spending. An emergency fund will not fix either of those problems, nor should it be expected to. One of the ways to avoid imbalances in your budget, is set up some sort of budget account. This should be an intermediate level account. It should be more accessible than your emergency fund, but less so than your checking and savings. While your checking and savings should be available to meet your normal spending budget, and your emergency fund is held for true emergencies, a budget account can function as a halfway type of account. You won’t use this to pay regular bills, but rather you’ll use it as a an account to pay for anticipated expenses. This will largely include maintenance costs and near-term spending priorities. Knowing these expenses are coming up, a budget account will enable you to put money aside in anticipation of meeting them. Expected car repair expenses. If for example you expect to average $1,000 per year for car repairs bills, you should be putting away about $80-$90 per month to budget for this. A roof replacement that’s expected in five years – if the cost will be $6,000, you might want to begin saving about $100 per month in anticipation. The 60 months between now and then will allow you to save the money you need. Your refrigerator is ten years old, and it will cost $1,000 to replace; figuring it will last another two years, you may want to begin saving at least $40 per month ($1,000 divided by 24 months). Saving up money for a family vacation. If you know that you’ll be spending around $3,000 for your vacation, you should be putting $250 into the account each month ($250 X 12 months = $3,000). Holiday expenses. You can think of your budget account as being something like a Christmas club account – putting away a certain amount of money in anticipation of heavier expenses at the holidays. Your eight year old looks like she may need braces in a few years – you can begin saving for this in your budget account. Each of these expense types are fully expected, and therefore they are hardly emergencies. You can and should budget for them, and by having a budget account set up you can do just that. If you do it faithfully, you will not need to raid your emergency fund, nor drain your regular checking and savings accounts. It seems a bit complicated, but can you see the merit of having dedicated accounts to cover different levels of expenses? When we think of financial independence we often think about having a lot of money, of having a fully loaded retirement plan, a house that’s paid for and being able to spend money any way we want. That may be financial independence on the high end, but you’ll never get there without taking a few less glamorous steps beforehand. One of those steps is creating an emergency savings fund. It will be the foundation of everything that comes afterwards. Talk about financial independence often focuses on investments. Where’s the market going? What are the hottest stocks? What winning ETF will get me to my investment goals? How much do I need to save for retirement? I think it’s safe to say that until you get the items above going, financial independence will never be much more than a dream. Financial resources have three main components in most households: income, savings and credit. Each of these can be used to pay obligations, but they aren’t all equally up to the task. 1. Income. This is the preferred resource to pay obligations, especially current ones. When your income meets your current obligations your household budget is under control and you’re ready to move on to better things. 2. Savings. In a perfect world, savings should be available to back up your income in the event that it isn’t enough to cover your immediate expenses. You’re in a good place if that doesn’t happen too frequently, but it’s there if you need it. 3. Credit. Credit should be used only for the purchase of major assets that will provide you with benefits for a long period of time. It’s a way to spread the expense of high cost items over a longer time frame. Houses, cars and a college education are the best examples, and even then only if they aren’t taken too far. Credit can also serve a secondary role as the back-up to your savings, in the event they won’t cover a large run of expenses. Income and savings are the preferred financial resources, with credit as a need-to-use-only resource. The problem is that for many people, it’s not savings that backs up their income, but credit. This comes about because while savings take time, effort and sacrifice, credit comes about with the swipe of a card. Have you ever lost some sleep, or even an entire night’s worth, worrying about paying your bills? More specifically, this is likely to happen when you really can’t pay your bills. This is what happens when your budget is stretched too tight, when there aren’t enough resources to meet obligations. If nothing else, having just a few thousand dollars sitting in a savings account might bring you the blessed sleep that you need to live your life. 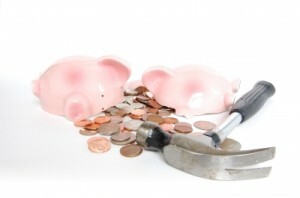 An abundance of debt is usually accompanied by an absence of savings. Is there a connection? I think so. When you have no savings, you’re forced to rely on credit to cover those income shortfalls. And when you’re constantly tapping your credit lines, you’re going deeper into debt. Most people who are in debt would do just about anything to get out, but that can’t happen until you stop using credit. The only way to do that is to live on less than you make and be prepared to cover emergencies with your savings—a true emergency fund. When you have savings—at least an emergency fund—you’re ready for problems. It’s not that you want them to happen, but rather that you’re prepared if they do. Any trouble you face will be that much easier to deal with if you have a savings cushion to back you up. Savings give you options, and that can take the panic right out of a troubling event. The more you have saved the more trouble you’re ready to deal with. But at a minimum, you should have an amount sufficient to cover predictable shortfalls, such as major car repairs, medical deductibles, or a job loss. When you’re ready for these, life becomes more predictable, and that puts you in better control – it’s almost like having a self-funded insurance policy. There are different ideas as to how much you should have in emergency fund, but I think the best is having at least an amount equal to 30 days of living expenses. If you have 30 days of expenses saved, you’ll have enough to cover the first month of a job loss, which will give your unemployment checks a chance to start showing up. How do you reach that goal? Start by selling anything you don’t need with a garage sale or on Craigslist, and banking the money. Bank your bonus, your tax return or any gift money you receive. Bank 10% of your net income for the next ten months, or use some other percentage strategy that will get you there. A temporary part-time job can help with this too. Any difficulty you’ll encounter in building your emergency fund will be less than the trouble you’ll be getting out of by not having one. That’s the first step to financial independence. Everything else will flow from that. 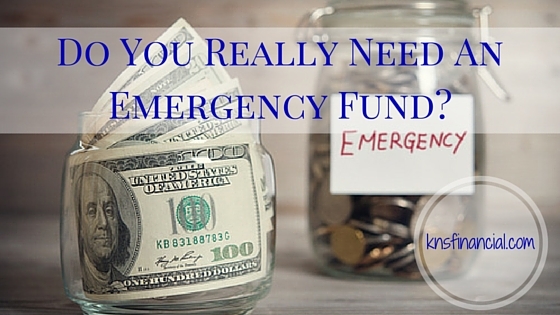 Do You Really Need An Emergency Fund? Let me first say that I believe that every healthy financial household will include an emergency savings account with at least 9 to 12 months of living expenses. If one is still in debt, I usually recommend having about $2,500 in emergency savings until the debt is paid off (then boost that up to 9 months). However, many people are not in a situation to make that a reality. So, this should be the first step toward financial freedom. The point of this emergency fund so you can have money stashed away when something unexpected comes up. If you are not financially prepared for emergencies, then you may be forced to rely on high-interest credit cards, or tap into your retirement savings in order to get by. So, this is why I recommend having about 9 to 12 months worth of living expenses saved up for emergencies. I would suggest having the money in an account that’s pretty liquid (easy to convert to cash or write a check from), so you can have easy access to it if and when an emergency hits. You can also shop around to find the best CD rates and possibly put your emergency fund in the one with the best rate. There are some who believe that the emergency fund is overrated. They will tell you that you are better off plowing all of your money into investments and putting any emergency purchases on your credit card. The logic here is that instead of earning 2% interest in a high-interest savings account while you wait for an emergency to come, you can earn a lot more if you invest the money instead. The difference in interest income would be more than enough to cover the interest paid on your credit card. First, you would have to be able to calculate the difference between the rate you would earn from your investments and your savings account. No problem, right? It’s pretty easy to figure out how much your savings account would pay you – just go to your bank’s website. But how about your investments? If it’s anything more than a CD or Money Market account, you can’t be sure. So, you don’t know what the difference between these accounts will be. Next, you will need to know how much interest your credit card will charge you, how much the amount would be, and how long you will take to pay it off. Estimating the interest rate is pretty easy – if you have good credit and your bank is not about to go under, just use your current rate. But, how can you possibly know how much you will borrow and how long it will take to pay it back? If our “emergencies” came with that much detail beforehand, I probably wouldn’t be writing this article! So, we don’t know how much we will earn from our investments, and we can’t predict how much our emergency will cost or how long it will take to pay off. That situation sounds much too unpredictable for me! Because life is unpredictable, and many of those surprises come with a price tag! Having an emergency fund will help you to avoid running up your credit card when something unexpected comes up. It will also protect you from having to sell your possessions at a loss. You will go a long way from removing a common source of stress (financial insecurity). Find out what the bible says about being satisfied and content! How Much Should I Save For An Emergency? First, create that $500 cushion in your checking account that I talked about earlier. In the article that I linked to, there are a number of tips to get you to that goal fairly quickly. Second, if you are still in debt, I would recommend saving 1 month worth of living expenses. This is on top of the $500 cushion. Once you hit this goal, plow all of your extra money into paying off your debt. Be sure to cut all necessary expenses as well. Lastly, once you are COMPLETELY debt free, bump this up to about a year worth of living expenses. Of course, if you have irregular income – this is especially true for artists/musicians and small business owners – then you may want to extend this even further. Setting up an emergency fund and getting out of debt should be at the top of most of our lists. This will allow us to have the financial stability to handle shocks and the freedom to choose an unconventional path! Do you have an emergency fund? How much? Are you currently in debt? If so, do you still save? Have you ever had to face an emergency with nothing but credit cards?